A car bomb attack targeted the Mogadishu seaport on Sunday morning. It was reportedly followed by a heavy gunfire. Ambulances were sent to the scene. The number of victims is estimated between three and more than 10 by different sources. — Abdulaziz Billow Ali (@AbdulBillowAli) 11 декабря 2016 г. — Radio Dalsan (@DalsanFM) 11 декабря 2016 г. — Bashiir Mah'ud (@BashiirMohamud1) 11 декабря 2016 г. — Ahmed Kosar (@AhmedKosar1) 11 декабря 2016 г. Citing police, Reuters said the death toll has climbed to 29. 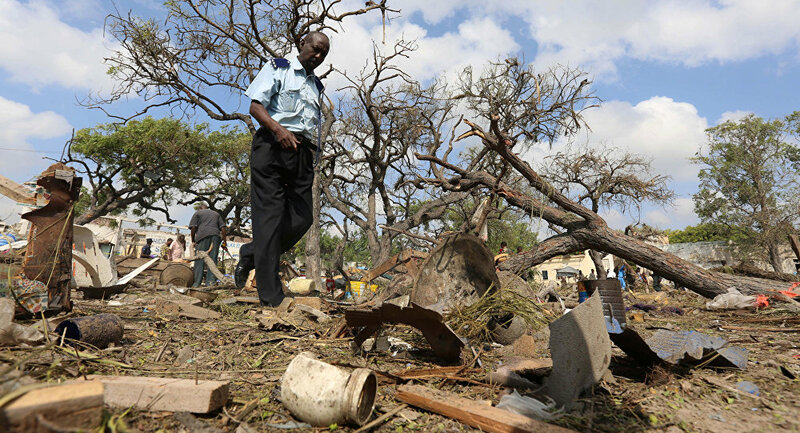 The al-Shabaab terrorist group has reportedly claimed responsibility for the attack. JUST IN: #Alshabaab claims credit for the deadly car bomb at #Mogadishu port through statement aired from Radio Andalus, group's mouthpiece. — Omar Nor (@Omaar_nor) 11 декабря 2016 г. — Live From Mogadishu (@Daudoo) 11 декабря 2016 г. — Ahmed Abdihadi (@AhmadAlhaadi) 11 декабря 2016 г. — Sahra Abdi Ahmed (@SahraCabdi) 11 декабря 2016 г. — Somalia Live Update (@HassanIstiila) 11 декабря 2016 г. — Hussein Darwish (@Husdarwish) 11 декабря 2016 г. ​Somalia has been experiencing violence since the country devolved into civil war in the early 1990s. The state’s collapse provided a breeding ground for warlords, pirates and the al-Qaeda affiliated al-Shabaab.